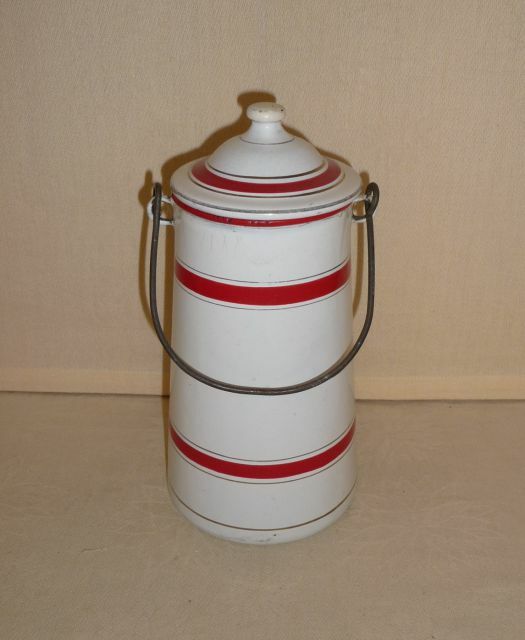 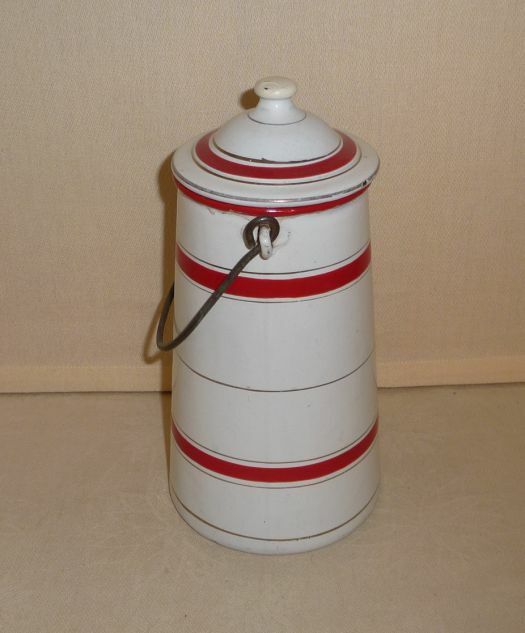 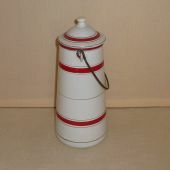 Nice white milk pail with red lines. 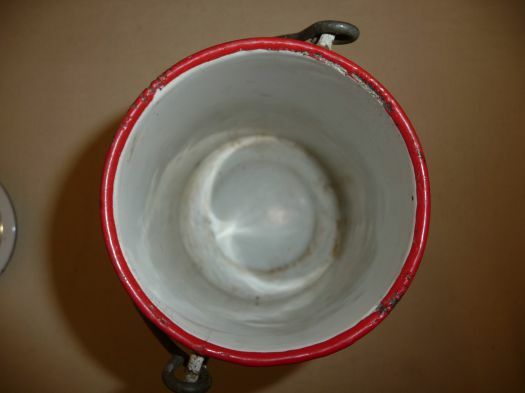 Very good condition outside ; inside it is less good, it has been used. 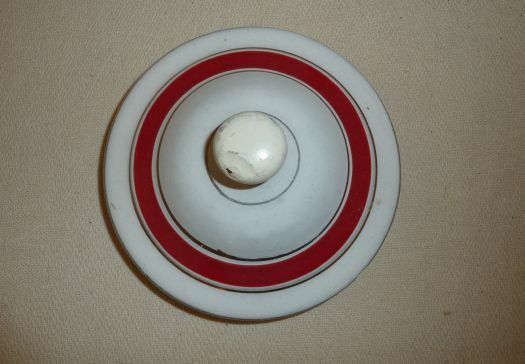 A chip has been covered with paint on the button of the lid.